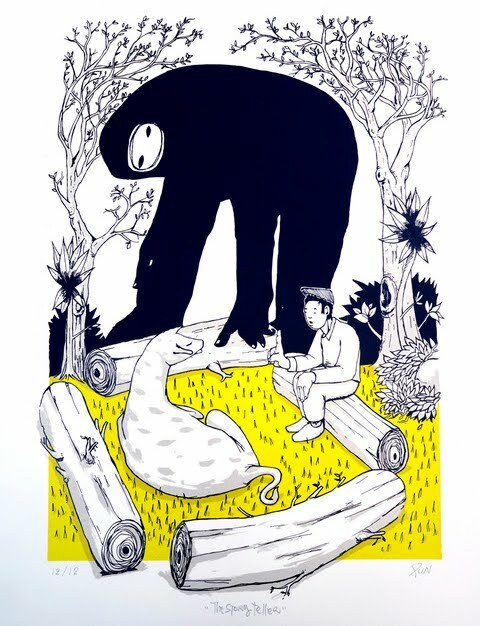 Our friend RUN has recently released a new screenprint titled The Storyteller. Here is what the artist had to say about the new edition. The new edition has been printed by East London print house MULA Printing and is sized at 60 x 39 cm, 3 colours available in 4 different colours blue/red/yellow/green . Each is an edition of just 12, printed on Fabriano Rosaspina paper 300gsm signed and numbered. The new prints are £65 + shipping and available now via the artists website here.